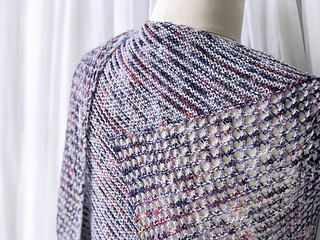 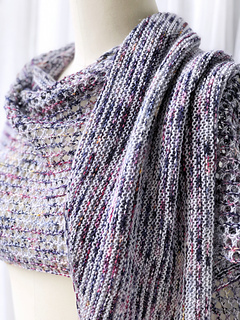 A mixture of simple stitches and unusual construction gives this shawl the ideal balance of interest and mindlessness for that meditative knit you’ve been craving! 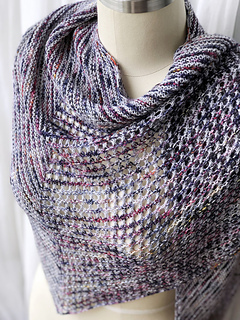 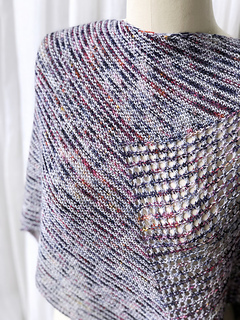 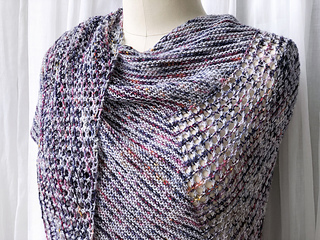 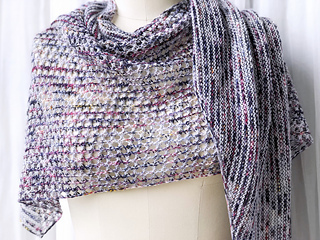 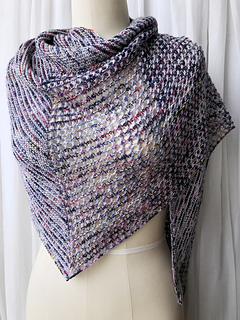 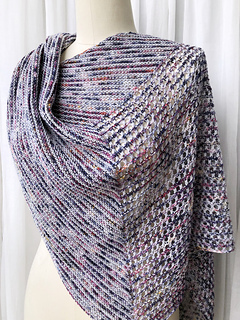 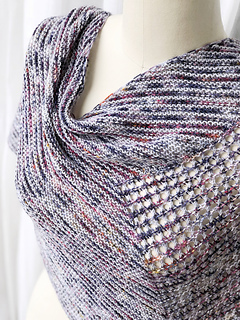 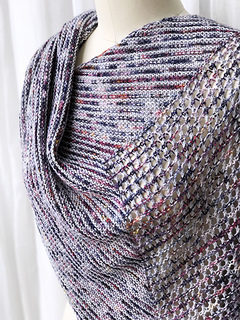 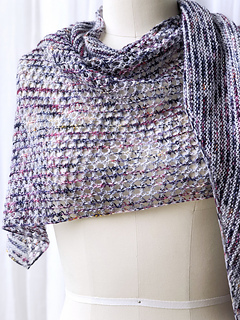 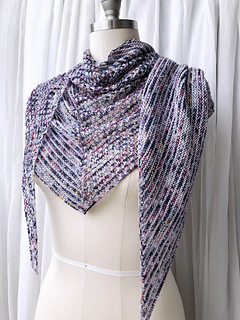 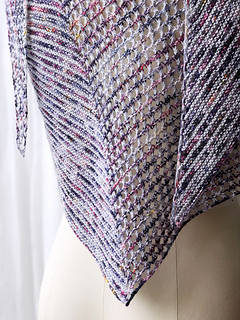 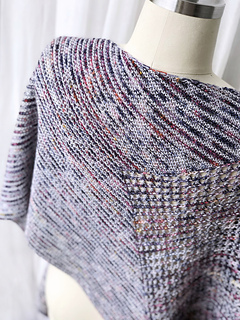 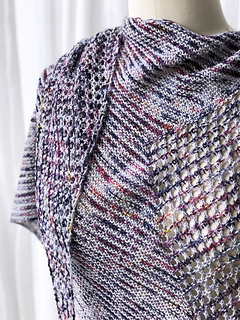 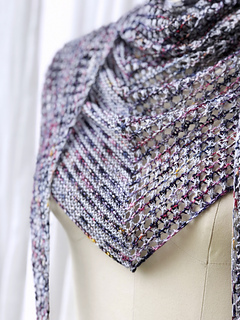 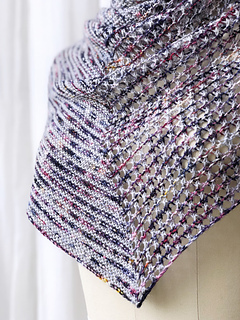 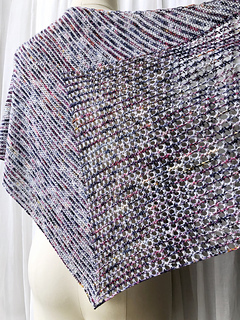 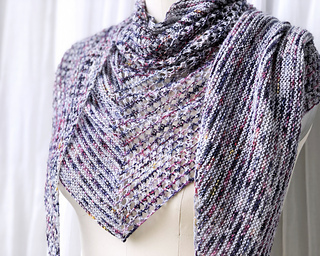 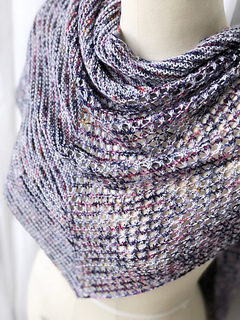 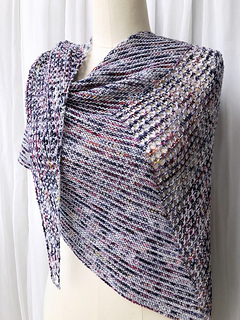 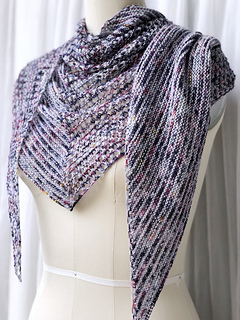 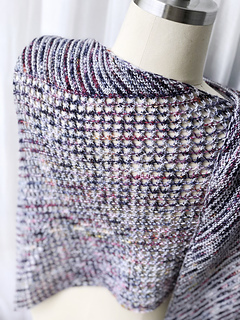 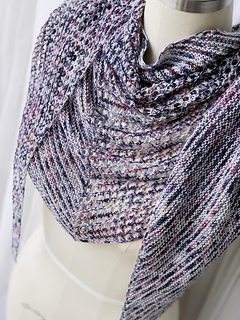 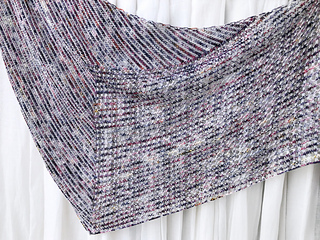 This shawl begins with a striped triangle knitted on the bias, with increases along one edge and short-rows creating wrapped stitches along the other edge. 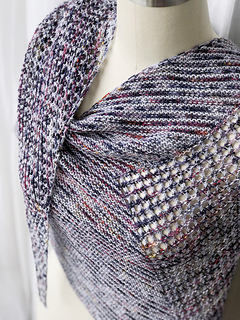 Once the base triangle is complete, the wraps are picked up to work the remaining rows downward, maintaining the established stripes on one half while introducing eyelets to the other half. 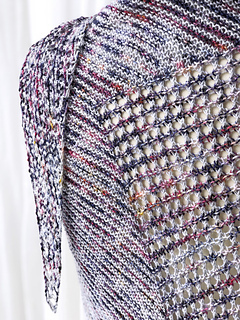 This construction gives the illusion of the eyelet portion being inset into the striped section at an interesting angle.